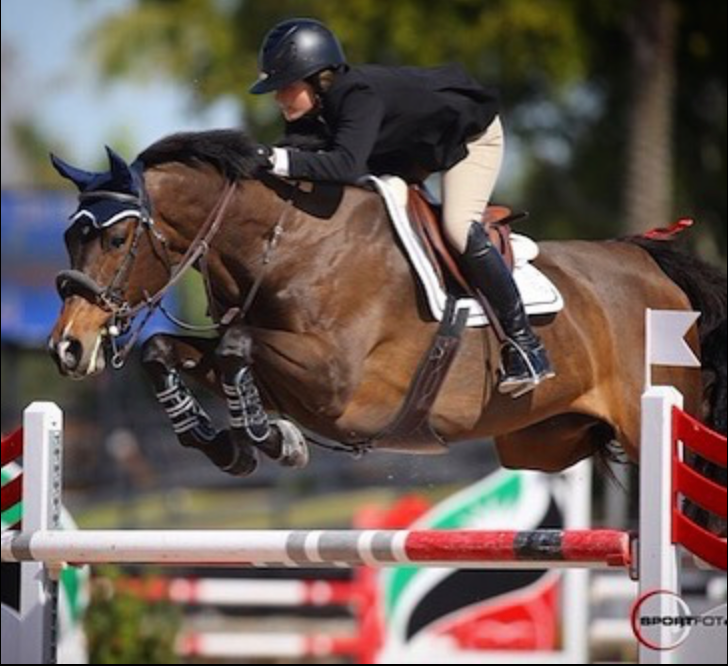 Following a highly successful junior career as one of the winningest young riders in history, Victoria Colvin has launched her own enterprise in the hunter/jumper industry based just outside of Wellington, Florida. 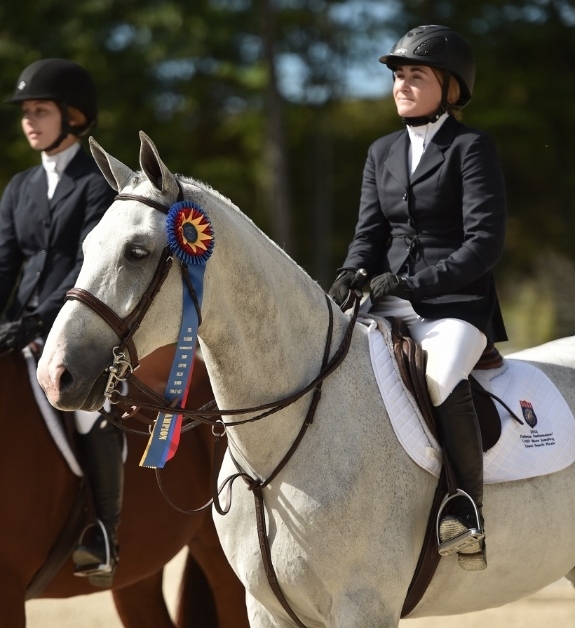 Victoria Colvin offers clients the opportunity to train with an acclaimed show rider/trainer and compete in AA horse shows across North America during the spring and fall, as well as compete in Wellington at the world-famous Winter Equestrian Festival during the winter season. Outside of training and coaching services, Victoria Colvin, LLC also includes a strong focus on finding, developing, and selling quality young show horses. Victoria "Tori" Colvin has been an accomplished equestrian athlete since she began riding and showing ponies at a young age, and has continued to dominate in both the hunter and jumper rings as a professional. She first made an impression at USEF Pony Finals, winning numerous championships over the years, and continued her childhood success with a record-breaking five Best Child Rider titles at the famous Devon Horse Show and Country Fair, in addition to countless Junior Hunter and equitation wins across the country. Thanks to her natural talent and consistent eye, Tori set herself up for industry success following a highly successful junior career as one of the winningest young riders in history. Under the tutelage of distinguished trainers, Tori dominated the equitation ring during her junior years, claiming titles in the 2012 and 2014 Annual George Morris Excellence in Equitation Championships, 2014 ASPCA Maclay Finals, 2014 USHJA Hunterdon Cup Equitation Classic, 2015 Platinum Performance/USEF Show Jumping Talent Search Finals and the 2015 WIHS Equitation Championship. In the hunter ring, she has championed numerous $50,000 International Hunter Derbies and four times the $100,000 WCHR Peter Wetherill Palm Beach Hunter Spectacular, a triumph yet to be matched by any other rider. In August 2017, Tori piloted Cuba to victory in the $268,550 USHJA International Hunter Derby Championship, and subsequently earned top honors at the Hampton Classic Horse Show, Kentucky National Horse Show, Capital Challenge Horse Show, Pennsylvania National Horse Show, Washington International Horse Show and the National Horse Show. Tori is a consistent sight on the grounds of the Winter Equestrian Festival, and in 2018 she earned the WEF Overall Hunter Rider circuit championship. In August 2018, Tori made history as only the second rider to ever win the USHJA International Hunter Derby Championship more than once, defending her title in 2018 with Private Practice. In 2019, Tori won the Emerson Burr Trophy at the US Equestrian Pegasus Awards for her excellence in competition, while demonstrating superior sportsmanship and dedication to the principles, vision, and mission of the United States Equestrian Federation, specifically in the hunter ring. In the show jumping sphere, Tori made her debut appearance in the grand prix at the age of 13, impressively riding to victory in the $25,000 ESP Spring 6 Grand Prix ahead of 30 other seasoned competitors as a rookie to the class. Since that initial victory gallop, Tori has gone on to accrue a respectable list of more grand prix wins across the country, most notably in Wellington, Florida; Washington, D.C. and Lexington, Kentucky, to date. During 2018 WEF, she raced to the top in the $25,000 Hermes U25 Grand Prix Team Event as the only double clear in the irons aboard I Love Lucy, and later won the $25,000 CP National Grand Prix aboard Clochard. Over the course of the circuit, Tori piloted two mounts owned by legendary trainer George Morris to consistent placings in the 1.35m - 1.40m Jumpers, having brought the horses up through the ranks from the 1.20 level.